Our overall approach to research in the area of teaching English in difficult circumstances could be called an 'enhancement approach' - identifying, understanding and disseminating 'good practice' as locally defined rather than focusing on deficit (Kuchah, Padwad and Smith, in process). The term 'enhancement approach' - as contrasted with a 'deficit model' or 'deficit approach' - emerged in the context of a reading and discussion group facilitated by Richard Smith with active contributions from Mais Ajjan, Harry Kuchah and Anyarat Nattheeraphong when all three were studying for their PhDs at Warwick in the early to mid-2010s. It relates to an approach to research in general, not only to teacher-research (the main focus of these pages). Earlier on, TELC-net, the Teaching English in Large Classes research & development network, set up in 2008 by Richard Smith and Fauzia Shamim, had begun to focus on gathering teachers' narratives as its principal research activity (Smith 2011; Smith et al. 2012). This approach, in turn, informed work with undergraduate researcher Rajapriyah Anmpalagan (Anmpalagan and Smith 2013). 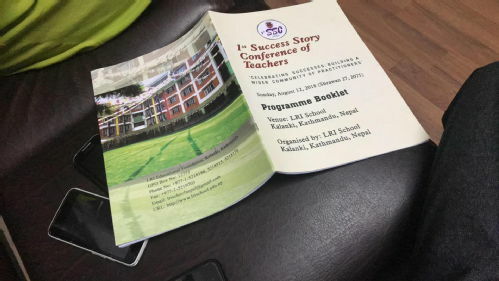 As a starting point in workshops, and as a good, positive basis for further teacher-research, the practice of eliciting and having participants present stories of recent success has been implemented and developed in Nepal (see Teaching in the Low-resource Classroom materials referenced below); see also Smith 2014). Currently, the Crisis-ELT network has begun to adopt the same approach. Sharing success stories also features in the questionnaire developed for 'Teacher Association Research' in Cameroon (Smith and Kuchah 2016). in 2016 Richard Smith oversaw the production of a set of videos with associated reflection tasks for English teachers called Teaching in the Low-resource Classroom: Voices of Experience. The videos and tasks were uploaded to the British Council's TeachingEnglish website. They are based on a five-day 'Hornby school' Richard directed in Kathmandu, Nepal, in November 2013. Smith, R., Padwad, A. and Bullock, D. (eds) (2017) Teaching in Low-resource Classrooms: Voices of Experience. London: British Council. Online (Open Access). inquiry or for discussion in teacher associations, English teacher clubs or other forms of self-help group. From a review of the book in System (Cao & Gao 2018): '[we] consider it to be one of the most impressive resource books that the British Council has produced over the years ... [it] delivers a straightforward and powerful message about what constitutes good pedagogy in highly accessble language'. Smith, R., Kuchah, K., and Padwad, A. In process. 'Teaching English in difficult circumstances, revisited'.